On Monday, a major Mattress Factory announcement was featured by Pittsburgh Post-Gazette! 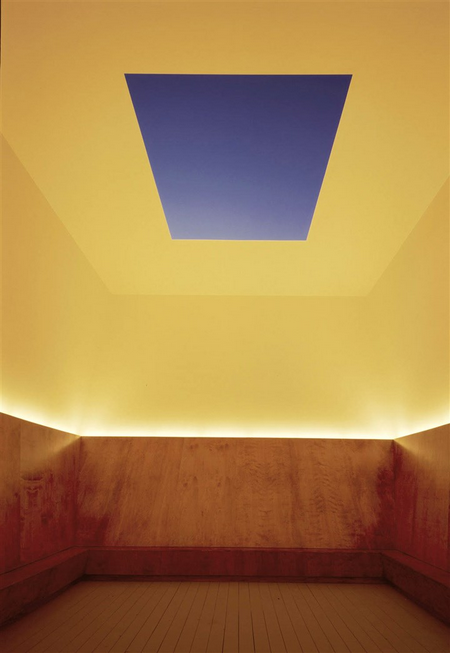 The article discussed eminent artist James Turrell's gift of an iconic Skyspace to the museum's permanent collection. RECAP // Factory 500: Martin Prekop's "Mirrored House"
On a chilly Saturday afternoon, Factory 500 members gathered at the home of artist, Martin Prekop in Fox Chapel. His home is appropriately referred to as the "Mirrored House," and is not a hard one to miss if you are driving by. Built in the 1960s, and spanning an estimated 5,000 square feet, the "Mirrored House" is the long-time art project of Martin's. 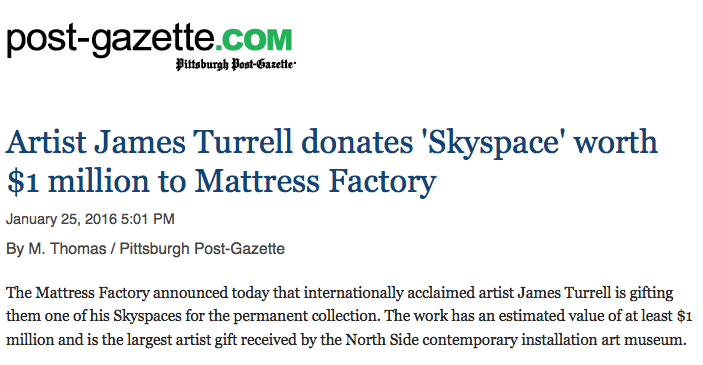 Martin moved to Pittsburgh over 20 years ago to serve as Dean of the College of Fine Arts at Carnegie Mellon University for 12 years. He continues to teach at CMU, focusing mostly on photography. 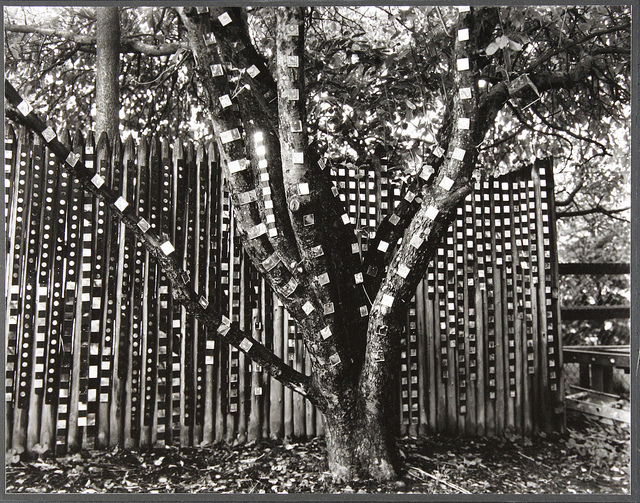 The "Mirrored House" has not only been an art project in and of itself, but is also the subject matter in Martin's photography. With a fully equipped dark room in the basement, Martin continues to create black and white photographs of his home. After the Factory 500 members had some time to explore around the home, both interior and exterior, everyone congregated in a large room with floor to ceiling glass windows - which in the warmer months double as a garage door that opens up into a lush back yard. "How did you get started with the mirrors?" a Factory 500 member asked. Martin explained that after he bought the home he was washing his hands in the bathroom and looking out the window. "I was staring at a brick wall and what I really wanted to see was my backyard," he said. "So I put a mirror there outside on the brick." One mirrored brick led to two mirrored bricks, which led to thousands. "You never know how many bricks your home is made up of until you decide to put mirrors on every one," Martin quipped. Twenty some years later, Martin's home is full of mirrors, artwork, records and stylish furniture - a real piece of installation art and a treat for Factory 500 members to experience.